Fuzzy distortion based on the renowned RAT circuit. King-size version of Cat Tail. 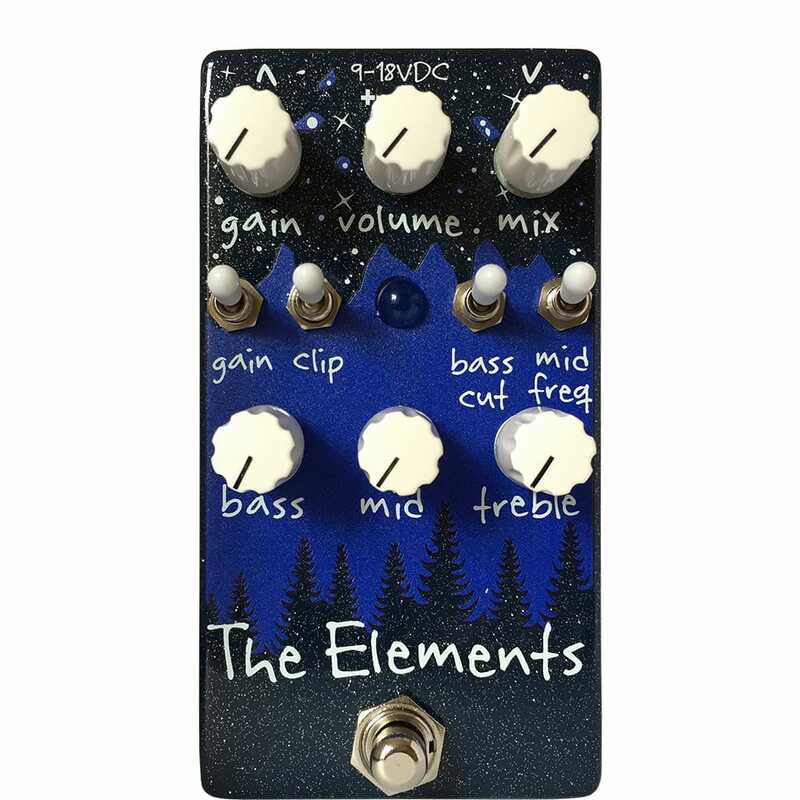 Modded edition with momentary footswitch for self-oscillation. 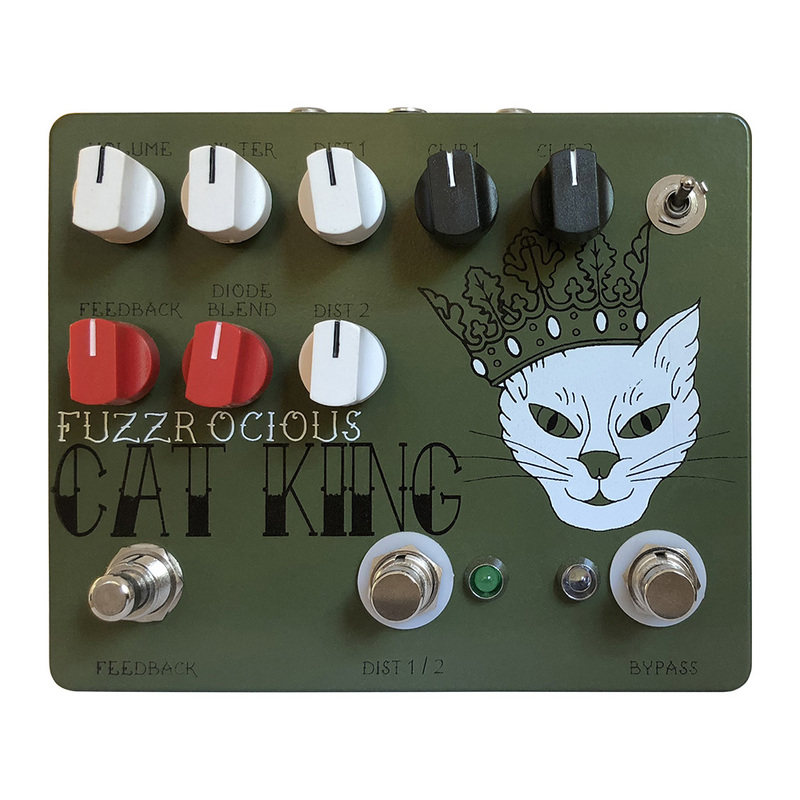 The Cat King is the “king sized” version of the Fuzzrocious Cat Tail, a low to high gain distortion with overdrive capabilities. 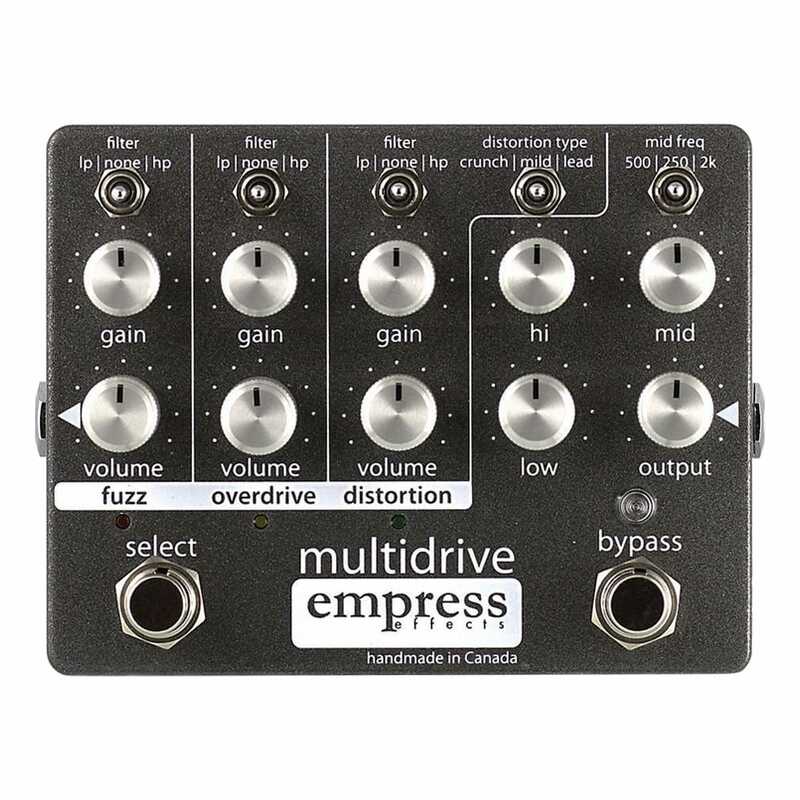 This circuit is based on a well-loved, classic distortion that make a clean amp dirty and a dirty amp disgusting. 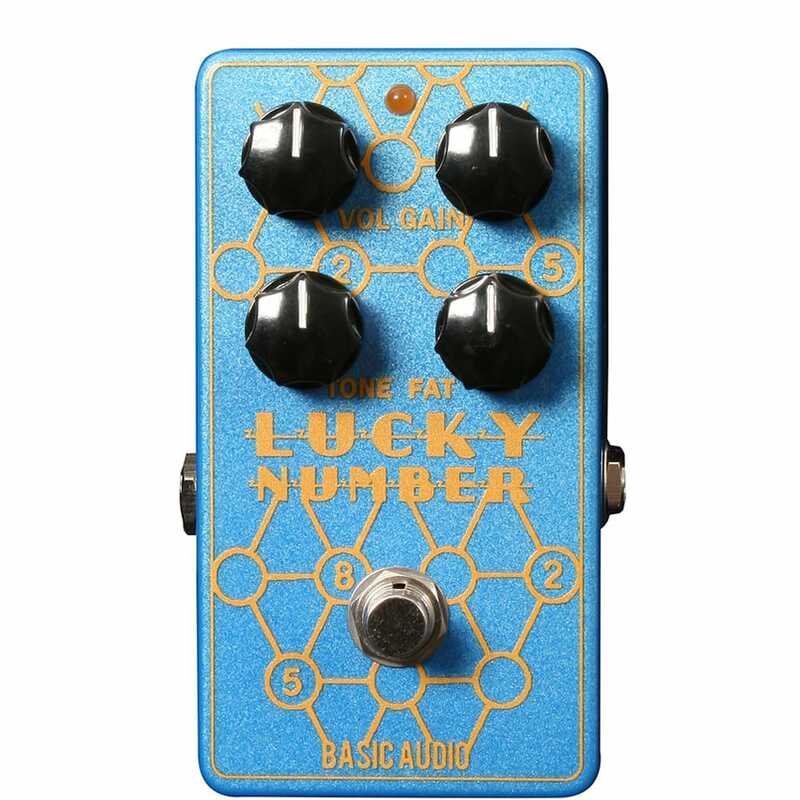 Fuzzrocious has tweaked the original circuit to better meet the needs of guitarists and bassists alike.